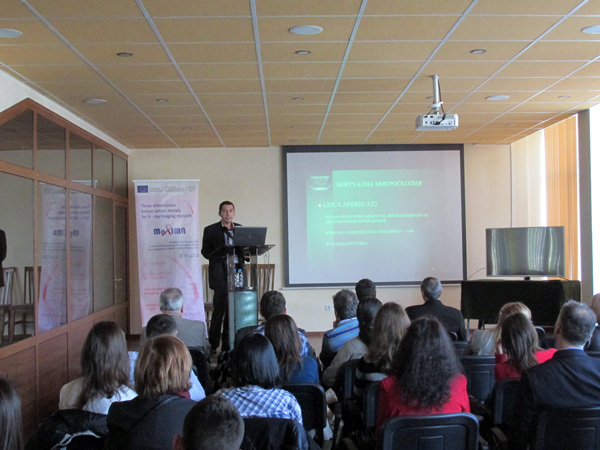 Considering the social impact of the MAXIMA scientific field, the project aims also to provide dissemination events to raise the public awareness related to prevention of breast cancer. 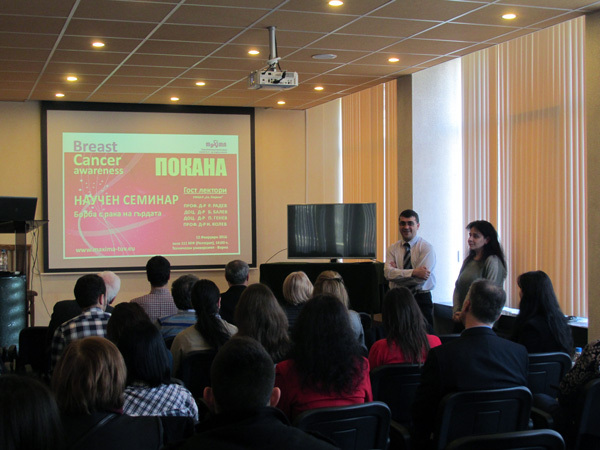 A dedicated Workshop on Breast Cancer Awareness was organized in conjunction with the 1st GAM of the MAXIMA project. 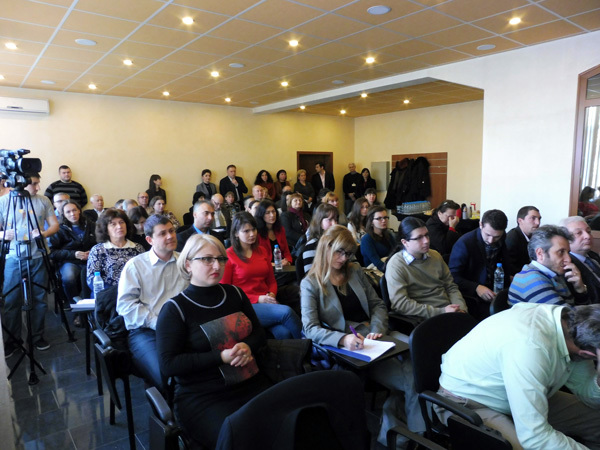 The workshop hall proved small to host all the people wishing to attend the event. 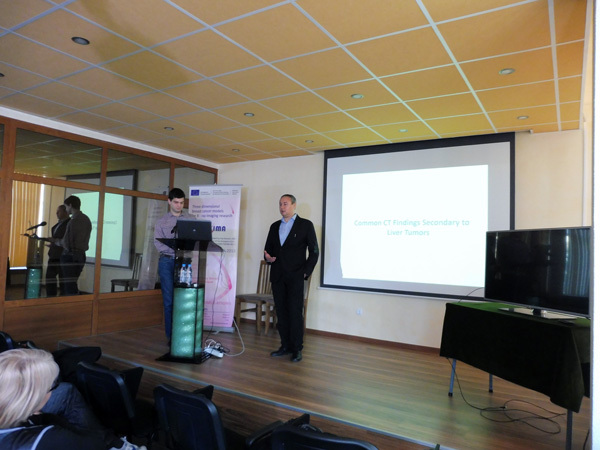 Prof. R. Vasilev, Rector of the Technical University – Varna, opened the workshop and expressed his support on behalf of the Technical University of Varna to the MAXIMA project. 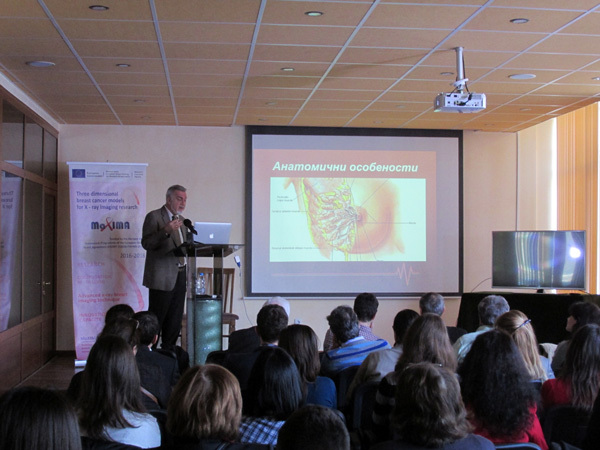 Further on, invited speakers from the Medical University Hospital “St. 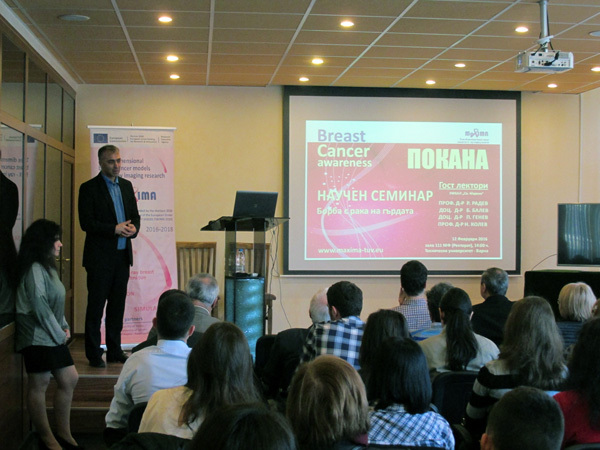 Marina” in Varna presented important aspects of the breast cancer diagnosis and treatment. They turned to be extremely influential and the emotions of the audience were perceptible.